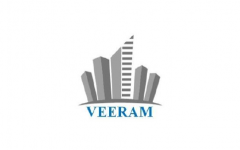 Veeram Infra IPO Description - Veeram Infra trades in different general goods & variety of products as per season like pulses, garments and metals etc. Currently, the company’s trading activities are focused only in Gujarat. However, it intends to cater to the increasing demands of its existing customers and also to increase its customer base by enhancing the distribution reach of products in different parts of the country. Over the last 2-3 years, the company has diversified its business activities in the real estate sector. Its real estate business shall include development and sale of land, residential properties including identification and acquisition of land, development of land & infrastructure, acquisition of development rights of projects, marketing of projects/land. Currently, the company has entered in to a land development agreement for Land Development and Plotting Project at Village Zamp, Taluka Sanand, District Ahmedabad, Gujarat. Veeram Infra IPO allotment status is now available on Karvy Computershare’s website. Click on this link to get allotment status.